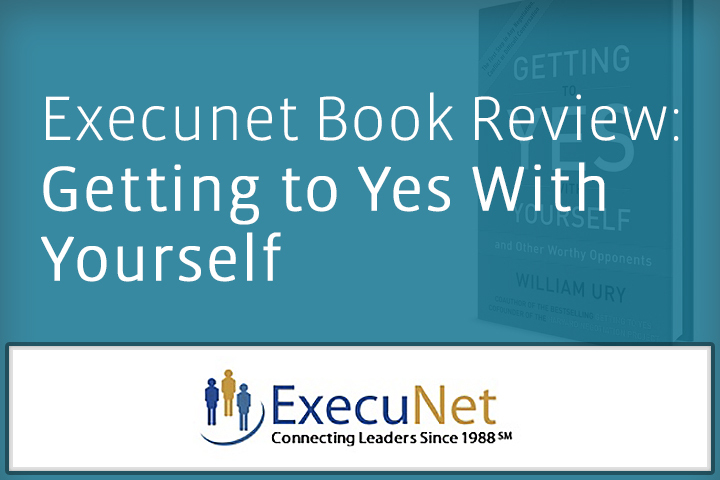 Thirty years ago, renowned mediator William Ury co-wrote the classic Getting to Yes, which has helped millions of people reach win-win agreements. But it’s not always easy to get to yes. The biggest obstacle to getting what we really want in business, in our careers and in our lives, Ury has found, isn’t always the difficult person on the other side of the negotiation table. It’s the one in the mirror. The hardest negotiation of all, it turns out, is with ourselves. 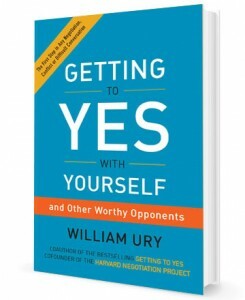 Getting to Yes With Yourself (and Other Worthy Opponents) (HarperOne, January, 2015) is the sage new book by William Ury, a masterfully crafted guide to improving our decisions, changing our natural tendency to react in ways that don’t serve our true interests, and creating the results we want for ourselves. Ury offers an elegant, simple (but not easy), six-step method for getting what you really want out of life. The strategies and lessons shared in his approachable book can be used by everyone, every day, in every situation: whether it’s negotiating a raise at work, managing a career change, or developing healthy business and personal relationships. Ury writes with precision and authority. He is, after all, co-founder of Harvard’s Program on Negotiation, and one of the world’s best-known and most influential experts on the subject. He has taught tens of thousands of corporate executives, labor leaders, diplomats and military officers around the world how to negotiate their way to success. The book shares examples drawn from Ury’s remarkable career as a consultant and from his personal experience. Indeed, the real strength of Getting to Yes with Yourself comes from simple and powerful wisdom through personal story. It’s his signature blend of captivating, real-life experiences and sage advice that gives readers that pattern for applying his revolutionary methods to dramatically improve outcomes in all aspects of their own lives. As businesspeople, we will be more effective by starting within before entering negotiations with others. Apply the strategies on negotiation and mediation contained in this thoughtful and enlightening new book, and you will come out ahead in business and in life. No Replies to "Book Review: Getting to Yes With Yourself ( and Other Worthy Opponents)"